Pick you up in time at Xian airport. A paper board with the sign of your name will be held high at the airport exit. Then transfer to hotel; the rest of day is free at your own leisure. Xian is one of the four major ancient civilization capitals, enjoying the equal fame with Athens, Cairo, and Rome. Three tour destinations today: The Terra-cotta Warriors and Horses, Big Wild Goose Pagoda, Xian Imperial Fine Arts Center. Xian Imperial Fine Arts Center: Where tourists can appreciate exellent Chinese jade products and lacquer ware , and learn about their making process. 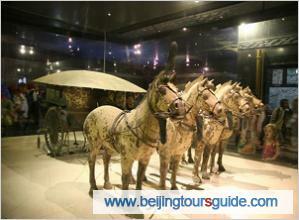 Visit Forest of Stele Museum, Shaanxi History Museum. Have a bicycle tour on Ancient City Wall. Be transferred to Xian airport for departure afterwards. Forest of Stone Steles Museum: Forest of Stone Steles Museum contains a large Confucian collection of steles cut in 837AD, various calligraphy and scripts telling stories, poems and reports, and early sculptures and objects from imperial tombs. Shaanxi History Museum: A good-sized national museum which houses the best cultural heritage of Shaanxi Province and shows the systematic development process of Chinese civilization. 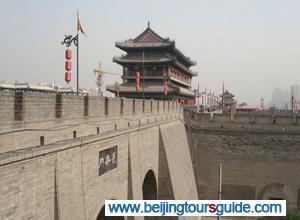 Ancient City Wall: One of the most complete city defensive system in the world. 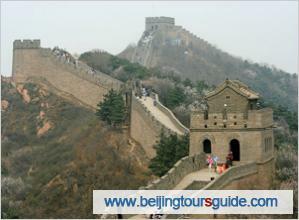 The wall has watchtowers, ramparts, wall gates, compared to a similar function of Great Wall in a certain way. A bycicle tour on the Wall is organized if the weather is good. * Gratuities, tips to guides or drivers..